How can I register for monthly parking at an HPA garage? If you’re interested in parking on a monthly basis at the MAT (Main and Trumbull) Garage you can register in person at the garage of your choice. How does the monthly access card system work? Upon completion of your vehicle registration form and payment of the first month’s parking fee in advance, a uniquely coded access card is issued for entry to and exit from the parking garage. When are monthly payments payable and what happens if I don’t pay on time? Monthly patrons agree to pay by the first day of each month, in advance. Late payments are subject to card deactivation and a late-payment fee. Can I let someone else use my access card? Sorry, no. The access card cannot be assigned to anyone other than the original monthly parking customer. Also, the card must always be used in sequence to enter and then to exit the parking facility. Using the card out of sequence will prevent the gate from rising. If you are car-pooling, good for you! Please remember to list all vehicles on your parking application at the time of registration. Any vehicle and license plate number changes should be reported to the customer service office so that we can contact you in case of an emergency in the garage. What happens if I damage or misplace my monthly access card? Monthly parking customers are encouraged to carefully handle and keep track of their access cards. Cards are replaced for a fee. If you lose or damage your card, please see the parking manager in your facility immediately to replace it. Your old card number will be deactivated and that card will become unusable. Can I park at an HPA garage when I visit downtown Hartford to shop, dine or go to an event? Yes! As a monthly parking customer, you have unlimited access to the garage you are registered at. 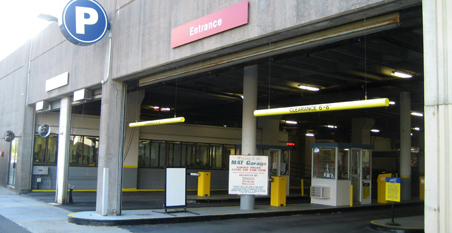 If you’re not a monthly parking customer, HPA has the most affordable rates for covered event parking in Hartford: just $10 at the MAT (Main and Trumbull) Garage. Are HPA Garages conveniently located? Yes! Our garages are easily accessed from I-91, 84, and Route 2 and very close to major attractions such as the XL Center, Hartford Stage Company, Connecticut Science Center and more!